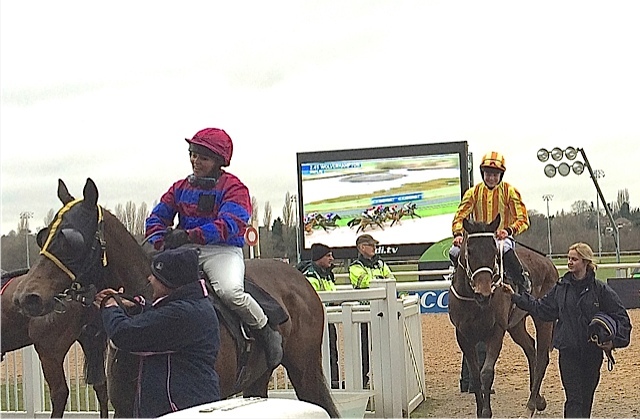 Dramatic finale to All-Weather Championship! 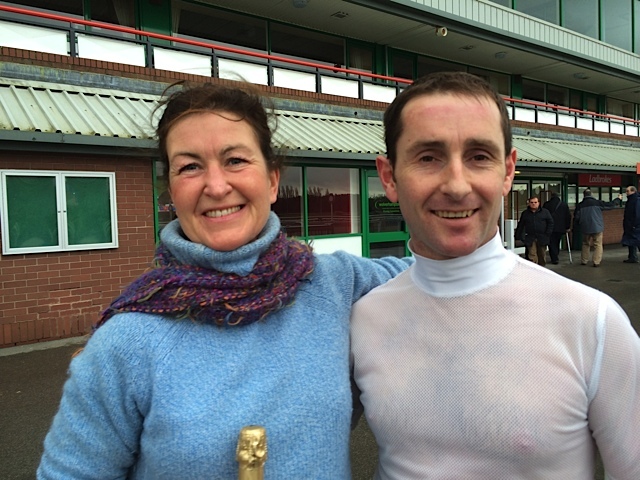 A nail-biting finish to the Amateur All-Weather Championship at Wolverhampton today was guaranteed with what has now become almost an annual tradition in the form of a battle between Serena Brotherton and Simon Walker for the title. Serena led the tables on 29 points with Simon not far behind on 26. However, after declarations on Saturday, Simon was jocked up to ride both favourites of each division but Serena had only one ride in the first. How drama then unfurled was beyond anyone’s imagination! 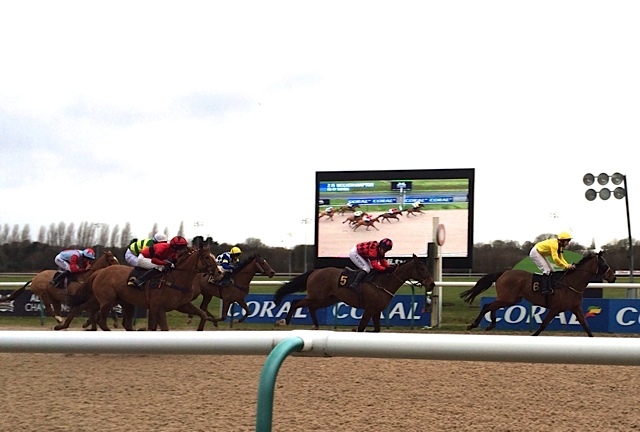 Simon duly won the first division for Richard Phillips with Fair Breeze, Serena finishing a length and a half behind in 2nd with Miles of Sunshine. The award of 5 points to Simon and 2 to Serena put them on level points going into the final race of the season, with Serena only able to sit it out in the weighing room and watch Simon ride the favourite. However, Simon was ultimately to be denied any points with Jamie Hamilton winning the 2nd division for James Given with Goldmadchen and Simon finishing 6th. The championship was therefore shared between the two for the first time in its history. 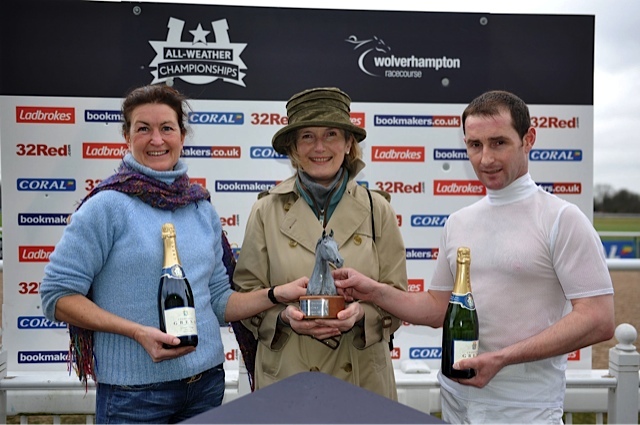 Many congratulations to our newly crowned All-Weather Champions Serena Brotherton and Simon Walker! ALY DENIEL WINS FOR GB DOWN UNDER! 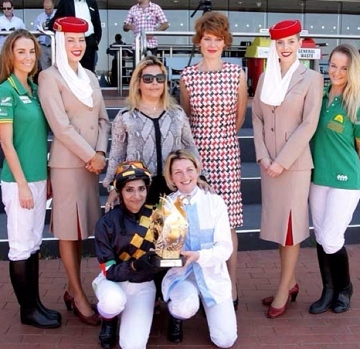 The 2nd race of 2014’s HH Sheikha Fatima bint Mubarak Ladies Arabian World Championships took place today. 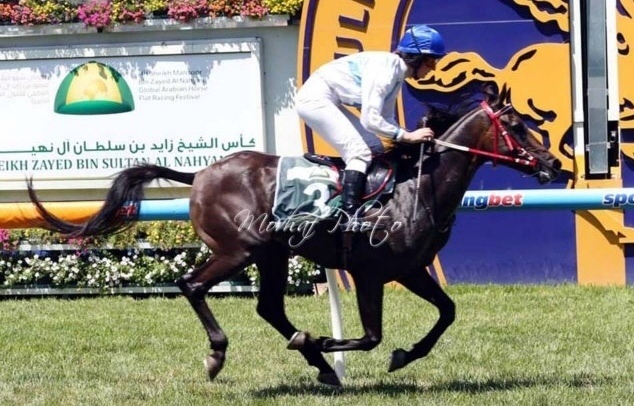 Many congratulations to ALYSON DENIEL who enjoyed a winning ride on Conderosa Millennium Silver whilst representing Great Britain in Caulfield Racecourse, Melbourne, Australia (known locally as “The Heath”). This was a fantastic achievement for GB! Many congratulations also to UAE representative Anoud Al Suwaldi finishing 2nd in only her 2nd ride and to France’s Blanche de Granvilliers finishing 3rd. It was announced by Lara Sawaya that 2 professional lady jockeys will have rides in each of the races for 2014 alongside amateur ladies. 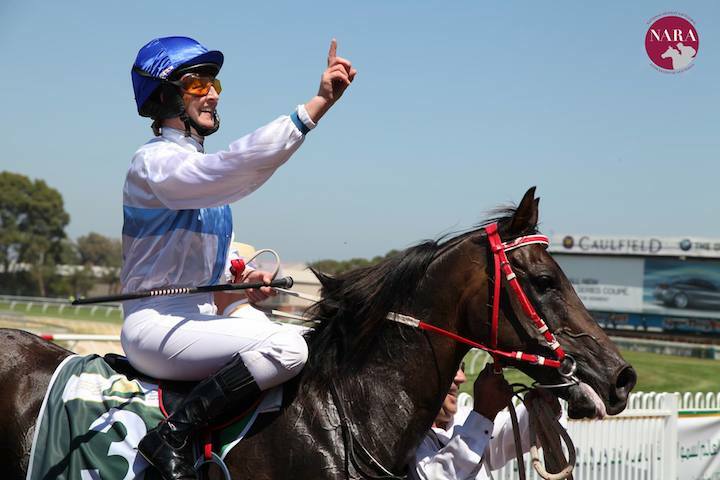 Many thanks must go to His Highness Sheikh Mansoor Bin Zayed Al Nahyan, HH Sheikha Fatima bint Mubarak and Lara Sawaya for this incredible opportunity given to one of our lady jockeys to represent Great Britain abroad and many thanks also to Team NARA Australia and Caulfield Racecourse for hosting this race. The next race in the series will be for professional lady jockeys only racing on snow in St Moritz on 23rd February, followed by Texas on 8th March when we hope to receive an invitation for another of our lady amateur jockeys to participate.